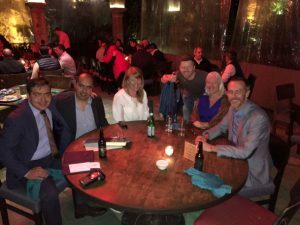 Between 21-25 January 2018 colleagues from Careers, Research and Innovation, and the Graduate School visited University of Guadalajara to foster relationships and collaboration between the two universities. Here Kerry Wright (Graduate School) gives a personal overview of the visit. 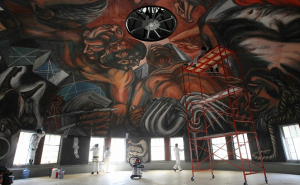 The first thing that stood out for me about University of Guadalajara (UdeG) is its size. It has 130,000 students based across 15 campuses and not surprisingly this raised questions as to whether it is one university or a loose grouping of many. We met differing perspectives on the subject but in general the consensus was “it’s one university with 15 different ways of doing things”. As member of UoN Graduate School staff it was also interesting to learn that only a very small of the UdeG student population are postgraduates compared with University of Nottingham (UoN). Inevitably the sheer size of UdeG meant that it was sometimes hard to be sure that all the right people were in the room for the workshops and discussions. On the other hand, I feel that we all came away with a much better understanding of the context in which UdeG colleagues are working, which will undoubtedly help underpin future visits and collaborations. UdeG students’ studies are publicly funded and as such attitudes toward placements, careers and employment are very different to the current U.K. environment. One aspect of this is that public funding is linked to expectations of reciprocity. Students are taught the importance of civic duty and all undergraduates must complete one hundred hours of public service. We also identified a spectrum of opinion about the role of universities in preparing students for the world of work – and whether, in fact, there should be any role for a university in this. ‘Companies should train their own staff’ is still a not uncommon view, though only a minority in the room agreed with this. Early in the visit our hosts took us to see various cultural sights including some murals by the famous Mexican painter José Clemente Orozco. I found these works thought-provoking as they seemed to highlight the paradox of education in Mexico which can be seen as both ‘freeing’ and ‘enslaving’ of the country’s indigenous populations. It also made me reflect that in the United Kingdom we tend to take ‘Western-style education’ as a universal good. Is that because we don’t perceive any unique cultures within our society that need protection, or perhaps because the presumed ‘good’ of our current education system is so prevalent in our culture that we can no longer think outside of that idea? Looking beyond ethnicity too, should we be thinking about protecting ‘ways of life’ such as mining or farming? It seems to me that the dominant strain of thought in the United Kingdom perceives such ideas as pointless and, in some senses, ignoble. Presenters from Indigenous Community Support at UdeG said that indigenous communities are feeling the greatest impact from growing inequality brought about by globalisation and they have to face both barriers and threats in their engagement with wider society. The construction of the northern UdeG campus was undertaken with the needs of indigenous people in mind, but for many there remain challenges around life circumstances and the landscape in which they live; for instance travelling 2 hours just to get to the nearest road. The contemporary university and business environments are also perceived to be potentially inimical to the conservation of cultural identity and demeaning or exploitative of indigenous knowledge and skills. The presenters stressed the need to align elements of the economy with cultural identity and to help indigenous people in Guadalajara retain talent within their communities. Overall the biggest priorities we identified during the visit were around employability of students and their readiness for work, data collection, management and utilisation, and researcher development. 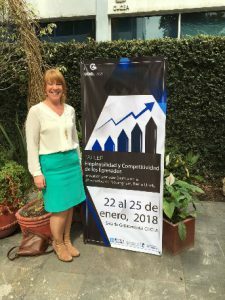 There is compelling evidence that there just aren’t enough large employers to provide work for the 130,000 students at UdeG, and they have therefore prioritised entrepreneurship over employability. However, there is an urgent need to develop processes for technology transfer and knowledge translation, and we hope that these issues might become the focus of future UoN engagement with UdeG. An early and encouraging outcome of these discussions is a proposal from Dr Pedro Ortega Gudino to develop a project based on the experience of Prof. Mike Clifford (UoN) directed to indigenous communities working in the development of sustainable agricultural projects. We also attended an excellent presentation by the British Council lead on Higher Education for Mexico which highlighted a real desire for more joint work between the two universities. This might include Joint Chairs of Innovation, joint student projects, particularly around innovation and vulnerable groups, interdisciplinary brigades to tackle social and global issues, and further student mobility. All in all the UdeG visit was, I feel, extremely valuable not only in the concrete developments and actions which it has laid the basis for, but also in fostering a greater breadth of global awareness and cultural mobility in both institutions. This visit by UoN Professional Services staff to the University of Guadalajara (UdeG) in the state of Jalisco was funded by the British Council Higher Education Links programme as part of our efforts to strengthen relationships between the two universities. The collaboration event was a four day workshop around aligning business engagement and student learning experiences to enhance graduate employability and competitiveness, delivered under the priority area of Student Employability and Competitiveness.